How Should Businesses Handle Pokémon Go? Pokémon Go is a free-to-play game for iOS and Android devices, which has exploded in popularity among individuals of all ages since its debut. It has surpassed Twitter as the most popular app in the app store, and is edging out huge names like Netflix and Pandora in terms of daily usage. It has been called the most popular mobile game in U.S. history. Pokémon Go allows players to capture, battle and train Pokémon using augmented reality technology. This means that rather than sitting inside on the couch, players must go out and explore the area around them if they want to find Pokémon. 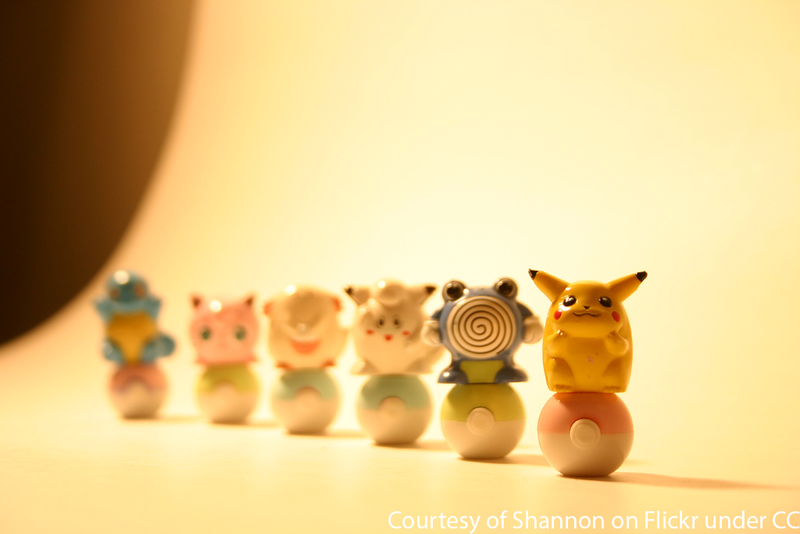 The game uses GPS technology and the phone’s camera to display Pokémon near the player. Players can gather game items at places called Pokéstops. Pokéstops are located at places like coffee shops, music venues, businesses and historical monuments. Some Pokéstops were chosen due to their historical and cultural significance, while others were chosen based on geo-tagged photos from Google and by suggestions from players. Given its popularity, it should be no surprise that some employees are playing Pokémon Go at work. This distraction could affect productivity and cause some employees to be less engaged in their work. Wellness—Pokémon Go encourages players to get moving. They must walk around in real life to catch Pokémon, and they can also get “eggs” from Pokéstops. To hatch these eggs, players must walk a certain number of kilometers (typically 2 km, 5 km or 10 km). To reap wellness benefits, encourage employees to use their lunch and break times for Pokémon exploring. Stress relief—In addition, Pokémon Go offers employees an outlet for releasing stress during the day. By taking a short walk to find Pokémon, employees can reduce work-related stress and return to work with a fresh mind. Team morale—People are continually sharing their Pokémon Go experiences on the internet. Translate that excitement into the workplace by holding a Pokémon Go activity during lunch or after work, where a group of co-workers can get together to search for Pokémon. This can be a great way for co-workers to build relationships while having fun. If you’re looking to bring in new business, Pokémon Go may be the perfect opportunity to do so. Some businesses that have been designated as Pokéstops or gyms (where players can battle one another), have seen a spike in sales. Not sure if your company is a gym or Pokéstop? Consider installing the mobile app on your phone and seeing where the nearest locations are. In addition, consider using a “lure” to drive in new business. Lures can be earned through the game once you reach certain levels or they can be purchased within the game’s store. Lures will attract Pokémon—and therefore players—to a Pokéstop for 30 minutes. One pizza shop in New York was able to increase its sales by 75 percent in one weekend by using lures. While the long-term popularity of Pokémon Go remains to be seen, employers should act now to realize game benefits and minimize workplace distractions.